The 3000 Series is a four-door commuter-type electric multiple unit designed by Tokyu for the Meguro Line. 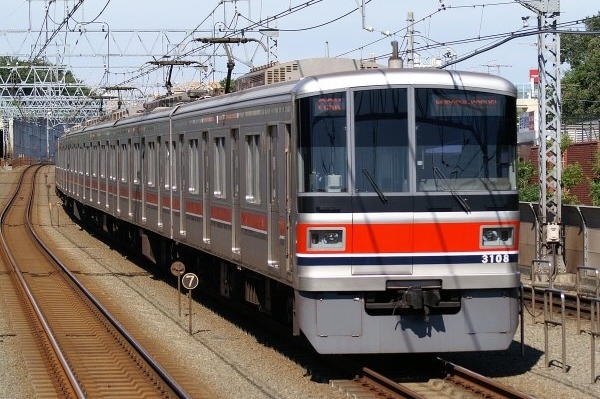 In the late 1990s, Tokyu was in need of a new train to operate on the Meguro Line which was scheduled to be connected to the Toei Mita Line, Teito Rapid Transit Authority (Currently Tokyo Metro) Nanboku Line and the Saitama Rapid Railway Line. The original plan was to modify the 9000 Series, but this proved to be difficult and the all-new 3000 Series was built instead. The 3000 Series was the first of Tokyu's trains to break away from the "Bento-bako" (Lunch box) style design and introduce a driver's cab constructed of fiber reinforced plastic. The body itself is made of stainless steel and has flat side panels. All 3000 Series trains use VVVF inverters with IGBT elements. 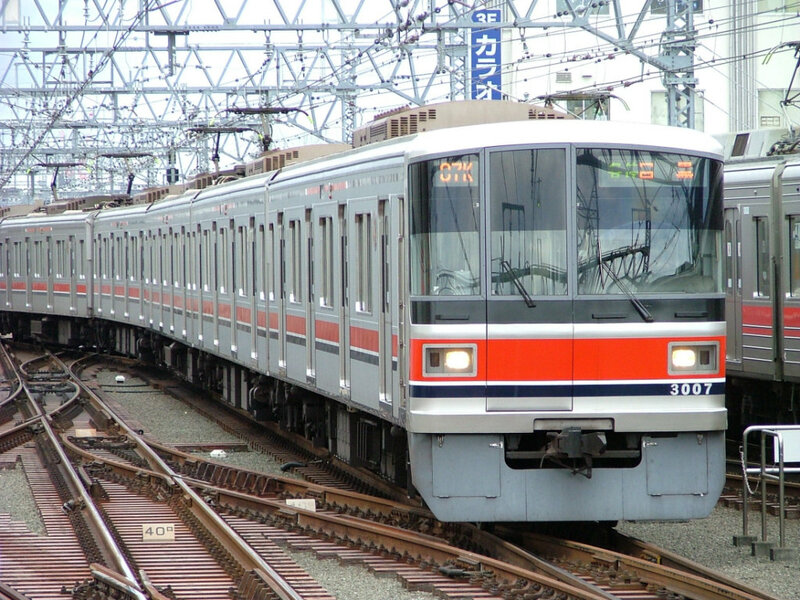 Being introduced over a year before the Meguro Line was expanded, 3000 Series trains were operated as eight-car formations on the Toyoko Line until later in the year 2000.